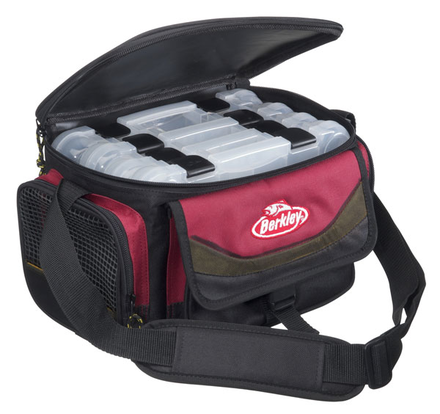 The Berkley Bag 4 Boxes is a sturdy fishing bag with 4 tackle boxes! This bag can be used for fresh- and saltwater applications. It is made of very strong and durable 600D nylon and features a practical, padded shoulder strap that allows for easy transport.